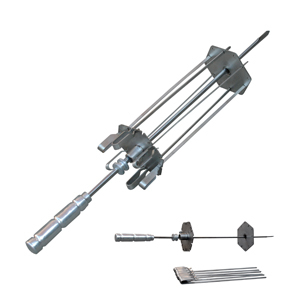 This rotating carousel skewer is excellent for large gatherings and can accommodate up to 6 stainless steel or standard wood/bamboo kebob skewers simultaneously. 6 stainless steel kebob skewers included. Proper application: Small cuts of Beef, Pork, chicken, shrimp, scallops, tofu and vegetables.